Dublin Youth Theatre request your presence at a party celebrating past and present, in a building crammed with challenges for you to discover. You’ll enter a world of DYT’s own making: unpredictable and adventuresome. You’ll need a mobile, good shoes, and your wits about you. RSVP was a new piece inspired by The Adventure Principle, which was created by Coney, Contact and CYAC in 2011. RSVP ran from the 13th to 16th September 2012 in the Dublin Fringe with over 170 audience members taking part in the interactive show by 35 DYT members. The original intent was for RSVP to be the next version of The Adventure Principle, but the combination of challenging logistics and new opportunities meant that Coney and DYT decided to make a new piece. We decided that the show would be centred within the world of young people, with an audience who were free to explore and join in (if they chose). The principle of adventure became a secondary theme and making tool. 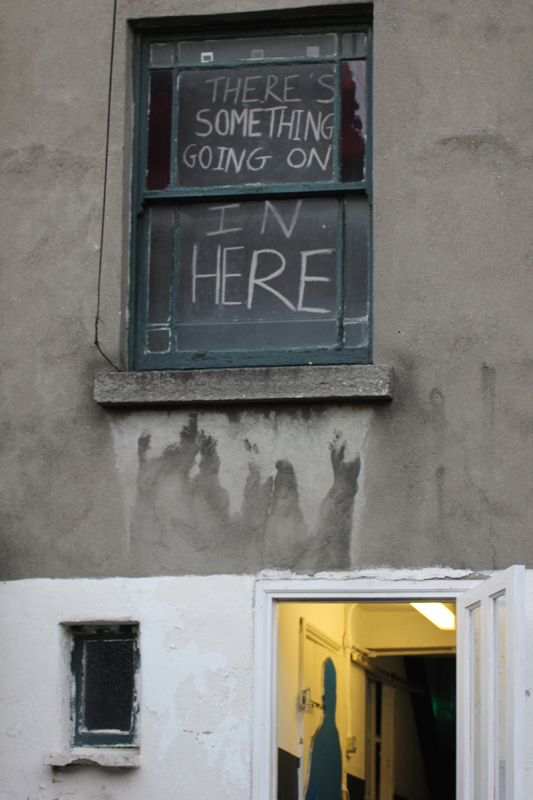 The house that is Dublin Youth Theatre made its professional stage debut hosting an all night party. The audience first embarked on a journey through the streets of Dublin to reach the party and, pretending to be friends of the ‘ledge’ Enda Gardiner, entered to be treated as if they were teenagers much like themselves. Entirely immersive, the party was brimming with interactive and improvised performance. In the final moments the audience entered a chill-out space to watch messages left for their future selves and to hear a final message from Enda. Read about the process of making RSVP and more about the party on our blog here.